Bang for the buck. That quasi-scientific statistic is bandied about by motor heads everywhere from classrooms to barrooms, though the truth of the matter is that it's exceedingly complex to measure. A fair performance-per-dollar index would include something like cross-referencing MSRP (Manufacturers Suggested Retail Price) with point-to-point times on a track or driving route, which is obviously hard to do comprehensively. But, for the sheer joy of talking about cars and playing with a big spreadsheet, there's always the horsepower-per-dollar index, which is more straightforward, albeit hilariously flawed. There are vagaries even with this simple formula, of course: MSRP for vehicles can change at a moment's notice, to say nothing of the bottom-line shifting that happens with local deals or showroom negotiation. For this list we're running with the straight MSRP wherever possible, and as recently reported as we can get it. All the vehicles on this list are 2017 models, and all trims are reported where the lowest price and differing power levels intersect. Some choices were made for personal preference and some for sanity, avoiding things like all 48 trim levels of the Ford Transit, all with the same horsepower). If this list were a simple top ten, or even a top fifty, you'd be bored to tears with all the red, white and blue that is represented. Following perfectly with conventional wisdom, American cars really do lead the world where hp/$ is concerned. So, for the sake of variety (and the sheer joy of seeing a minivan 'win' one round of this thing) I've sorted out some top five and bottom five lists for broad power categories. Let's dive in. Okay, okay, this is hardly a category we'll grant you. But we've often tried to click off all the sub-100-hp cars on sale in the US, and making this list gave us an excuse. It also illustrates that none of these smallish vehicles bring cheap horsepower to the table - for that you'll need a motorcycle. 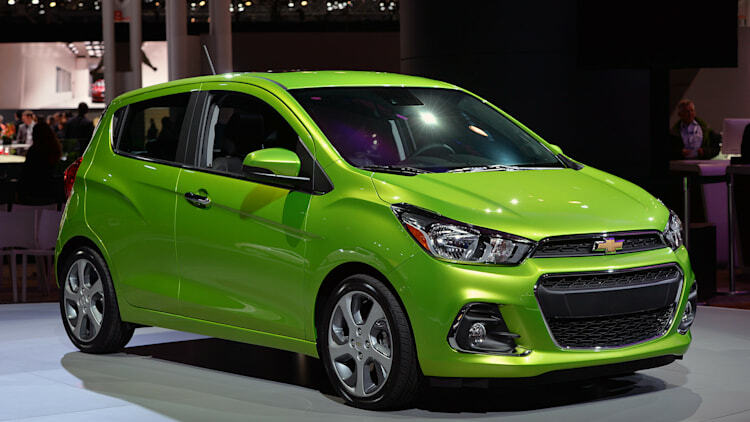 The segment-leading Chevy Spark (above) asks just over $139 for each hp, and that Smart Fortwo Electric Drive has hp on sale for about the same price as its very distant family cousin, the Mercedes-Benz SL65 AMG (insert your favorite Smart joke here... we know you want to). With everything from compact and midsize sedans to light trucks to crossovers and SUVs falling into the 100- to 200-hp range, this category is a huge one for cars the Average Joe actually buys. And, as you can see, the top of it is dominated by US products. 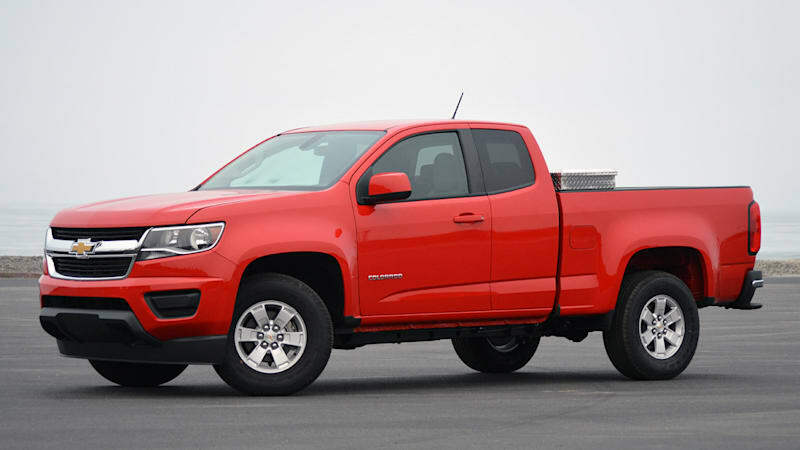 GM's new midsize truck twins (Chevy Colorado pictured) practically bookend the top five, where the very reasonable $100/hp range is the order of the day. The bottom of this horsepower range starts a trend you'll see throughout this piece: categories dominated by very similar cars. Electric propulsion for the masses has come a long way, but it's still tough to make cheaply. From over 200 to up to 300 ponies, some real performance cars can start to be had. The trouble is that most of them still charge a bit of a premium for the very best versions. So, while the V6-powered Mustang comes in third here, it's our unlikely hero, the Dodge Grand Caravan in its very cheapest SE trim that takes the cake. 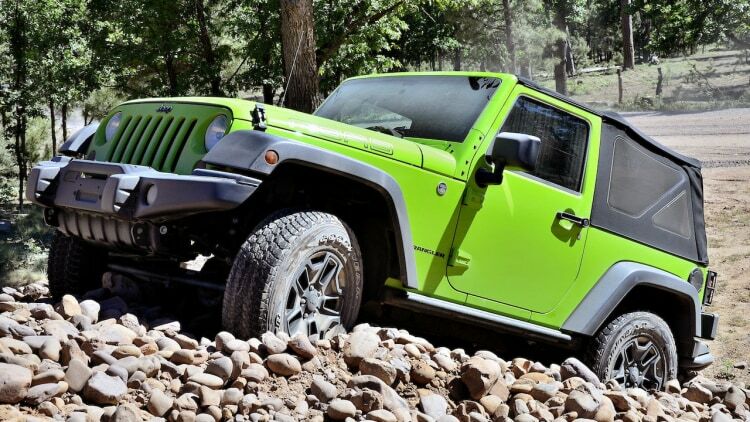 Not surprisingly, the minivan and the Jeep Wrangler (above) both make good use of the Pentastar V6 that FCA US uses so well and so liberally across its product lines. And for the bottom five, I'd like to show you something in a luxury diesel, and M-B's GLS350 is it. In a torque-based list these would do much better, but here in hp/$ land, they're screwed. 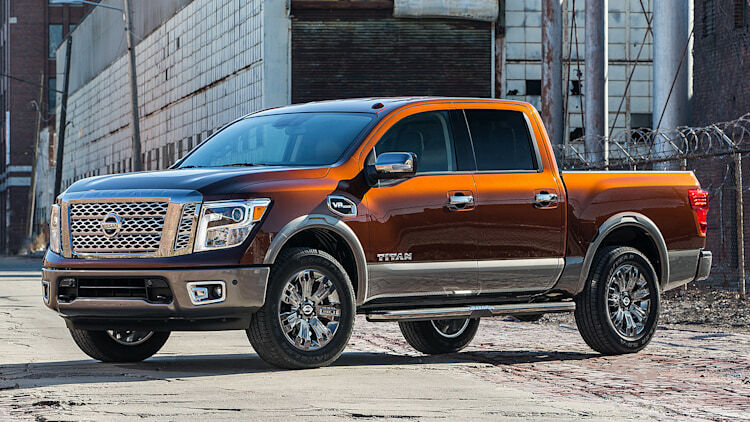 Ladies and gentlemen, with an absurdly low $76 asked for each of its 390 horsepower the Nissan Titan S (pictured above, in upscale trim) is your bang-per-buck champ. 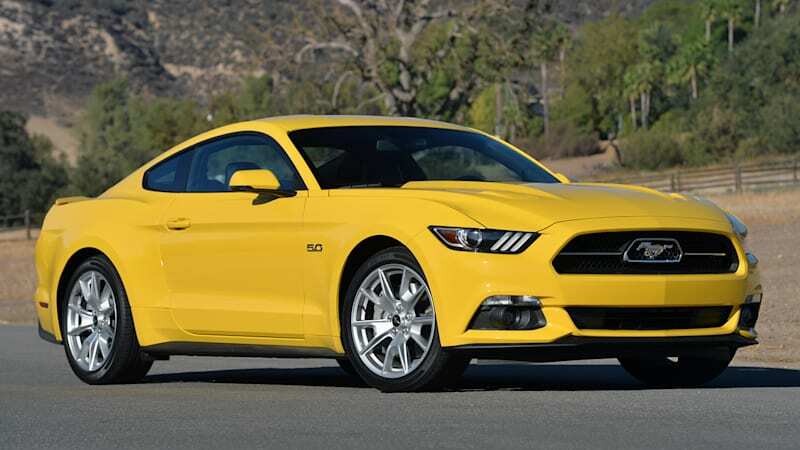 If your star is hooked to a car, the Ford Mustang EcoBoost is your power-per-buck champ. This group represents the heavy hitters overall, with the Nissan, Toyota Tundra and Ford ranking one, two and three, respectively. As for the priciest participants from 301 to 400 hp? Say "hi" to the Porsche 911 range, along with Volvo's XC90, Mercedes-Benz S-Class and BMW 640i xDrive. Specifically (and somewhat satisfyingly) it's the two variants of the 911 that get dissed the hardest, even by Porsche enthusiasts, the Targa and Cabriolet. Do the right thing: buy a 911 coupe, or a Boxster, or move on. With outputs up to 500 hp, we're starting to get into some really serious performance territory. But the cars and truck making up the top five of this segment stay under $100/hp, except the truck. That's impressive. The Mustang GT (above, in yellow) ranks number one on the overall list, followed by Challenger, Camaro and Charger. The bottom tier in this power range has the widest delta yet from the top five. The Maserati GranTurismo is both stylistically dynamic and ready to roll, with a $182,000 window sticker and 454 horsepower. Mercedes-Benz, the Acura NSX and Porsche fill out the top five. Nearly the tippy-top of this exercise are the vehicles shoving out between 501 and 600 horsepower, where you'd think power would start to be fairly expensive across the board. But you have to go to the fourth spot – the Range Rover Sport – to exceed $150/horsepower, and even the BMW X5 M – at $174/hp – is comfortably under the not-so-magic $200 figure. 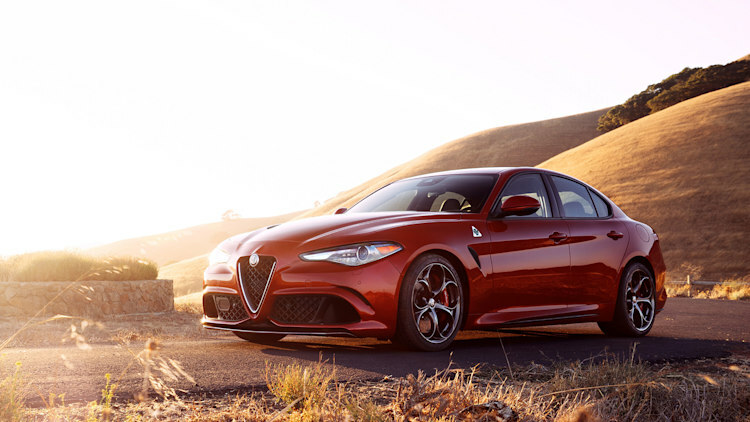 On the bottom, the $496/hp figure thrown up by the Bentley Bentayga tops the list, Alfa Romeo's new Giulia Quadrifoglio (pictured) is introduced and (once again) Mercedes-Benz makes an appearance! At the very highest output levels, the performance bargains are so well known - and expected - that you probably didn't even have to glance down. 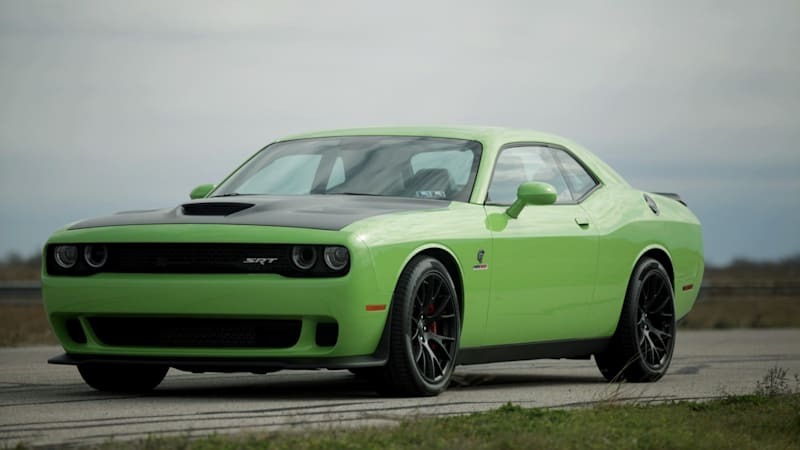 The Hellcat-powered Dodges (a Hennessy-modified Challenger Hellcat is pictured above) that have filled your news feeds are the unquestioned champs here, with less than $100 asked for each of their mighty 707 galloping ponies. General Motors tops out the Top (or Bottom...) Five, with Camaro, Corvette and Cadillac all delivering in excess of 600 horsepower for roughly $120 (on average) per horsepower. Finally, the Autobahn continues to strongly influence our bottom five, with Mercedes-Benz and Audi vying for 'top' honors and the CTS-V – notably – appearing and both the top and bottom lists. Despite their financial 'heft', all come in under $400/horsepower – and most are below $250. In uncertain financial times it pays to be prudent.